This entry was posted on December 4, 2008 at 12:06 am	and is filed under Uncategorized. Tagged: Blur Studios, Book, Cowl, david fincher, Dune, Heavy Metal, Ian Cormac, Interview, john hurt, Kevin Eastman, Kevin McKidd, Neal Asher, Rockfish, short film, The Skinner, Tim Miller, Tremors. You can follow any responses to this entry through the RSS 2.0 feed. You can leave a response, or trackback from your own site. Great interview. A Cormac series needs to be made. Someone call HBO. John Hurt as Dragon! Excellent, but isn’t he already doing the voice of the Dragon in that crap Merlin series? Great interview, he sounds like a switched on guy! Alright mate, great interview and Im glad to see you are getting professioanl interviews. Ill keep checking your site daily!! Cheers people. Neal did give some great answers didn’t he. I wonder what Iain Banks thinks of the fight between a Polity Dreadnaught and a Contact GSV! Neal is one of those rare authors who takes the time to communicate with his readers and fan base. Who do I think would make a good Cormac? Unfortunately I think the one I would have liked died this year. The great Don LaFontaine. Nice interview! Thanks a lot. The Iain Banks-Question was especially lovely. Many thanks to Neal for linking to the interview. Don LaFontaine would have been unusually good as Dragon. Anyone got any other suggestions as to who could be the voice of Dragon? If the Cormac books did become a TV series (starting with Gridlinked) who would everyone like to see as Ian Cormac, Arian Pelter, John Stanton, Horace Blegg, Aidan, Cento, Gant, Thorn and the Golem Twenty Five Mr. Crane? That’s a whole lot of characters! Mr.Crane – Dalip Singh Rana,(The Great Khali) Who else is big enough! Or CGI? Some nice choices there Bob. Not sure about Jackman as Cormac though, could see him as one of the Golems though. A young Rutger Hauer has kind of the look (in my mind) of Cormac. Not sure what modern day actor fits the bill. Mr Crane would probably have to be CGI all the way or a mix of mechanical and CGI. I always picture him as a kind of Joe Pineapples look from the Kevin Bisley version of the ABC Warriors in 2000AD. 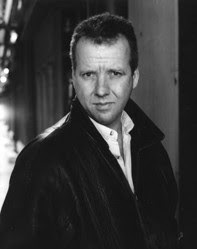 Anybody else got any ideas for the Cormac TV series casting call? Excellant Interview. 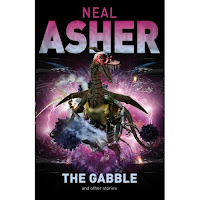 I’m currently absorbing Neal Asher books at an astonishing rate. Voice of Dragon….James Earl Jones??? For Ian Cormac, in my head he’s always been a bit like Agent Cooper from Twin Peaks but with white hair and a slightly better physique, so I’m going for Kyle MacLachlan. Great to hear that Asher is involved with the new Heavy Metal film. I now have an interest in the project that I didn’t have previously. Nice choice Weyland Yutani (cool name by the way). Mickey Rourke could be good as Stanton and Ron Perlman has to be in all of these kind of films! nice on l for f. cool interview. will try and grab some of his books for a read. Cheers anonymous. Let me know what you think of them. Yeah, I like the idea of Clive Owen as Cormac! Clive was cool in Children of Men. If I ever get an interview with Clive Owen I’ll mention it to him and see what he says.